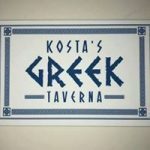 Kostas Greek Taverna is a family owned business taken from his parents in 1964 Melbourne Australia, and now being run from their son Kosta in the UK. All of our food is home made and 100% Greek authentic, family environment, lots of Greek dancing and smashing plates. Authentic Greek Food, Wide Selection of Drinks, Live Greek Music, A night you wont forget. Your Wedding Day should be one of the most important days of your life. So whether you are planning for your Special Day to be an intimate family affair or a large celebration with all your friends, we have the facilities to accommodate. Our Wedding packages start from £3000 see details in our brochure. We are licenced to hold Civil Ceremonies in our Welholme Suite. The cost for hiring the Welholme Suite for a Civil Ceremony starts from £500 including a light curtain, bay trees, chair covers and sashes depending on which package you choose. Music can also be provided by yourself on CD and played before and after the ceremony if you wish. Please note you will need to book a Registrar to perform the Wedding Ceremony and all details and costs are strictly between the Bride & Groom and the Registrar. Please feel free to come in and meet our management team who will be happy to assist with all your preparations. Our wedding guide can be collected from our Hotel Reception or sent to you at your chosen address. 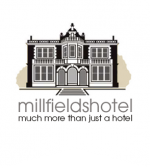 To make the most of your wedding with us why not book an appointment with one of our advisors to discuss your details of the day. With offering the Tipis and Catering all in one package you can have that special day within a budget making your dream wedding a reality without the usual exaggerated costs associated with outside catering.